All products used were purchased by me. Aren’t they pretty? 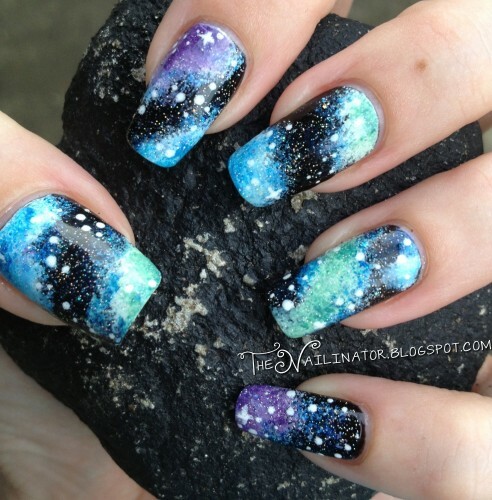 I think Galaxy/Nebula nails are in my top 3 favorite looks for nail art. I love them more each time I do them. I’ve seen some pastel versions of nebula nails floating around and I’m planning to try that soon. I try mix it up a bit each time I do them. 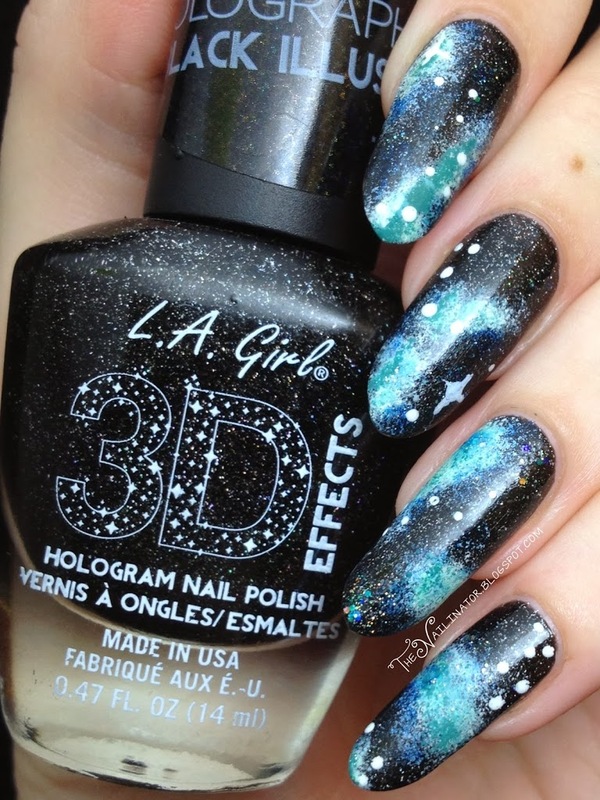 This time, as I mentioned, I’ve gone with an all green look and I’ve used L.A. 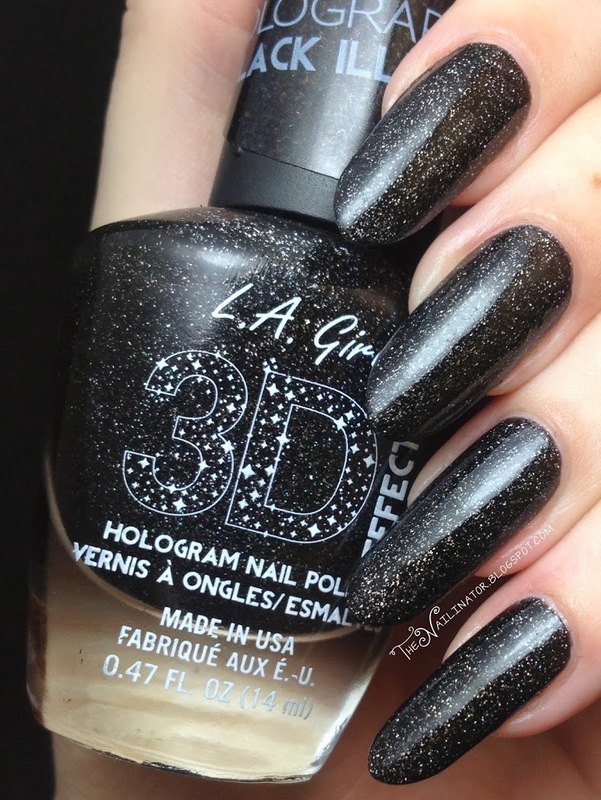 Girl 3D Effects in Black Illusion as my base. LOVE! 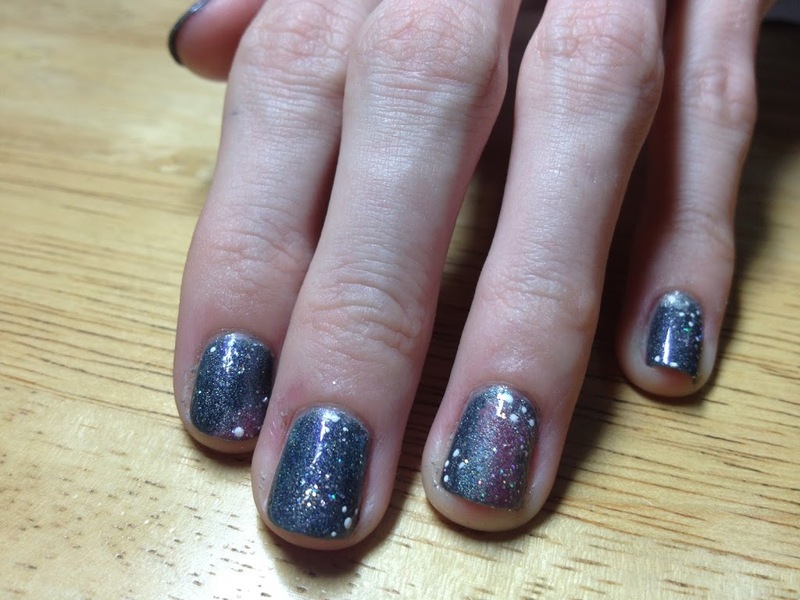 I swatched it before but I’ve swatched it again and it looks great with my newer nail shape. Every time I wear these 3D Effects polishes I’m reminded that I absolutely NEED the others in the collection! They look amazing and dry super fast too. L.A. Girl Cosmetics, I’ll probably be placing an order in April/May. 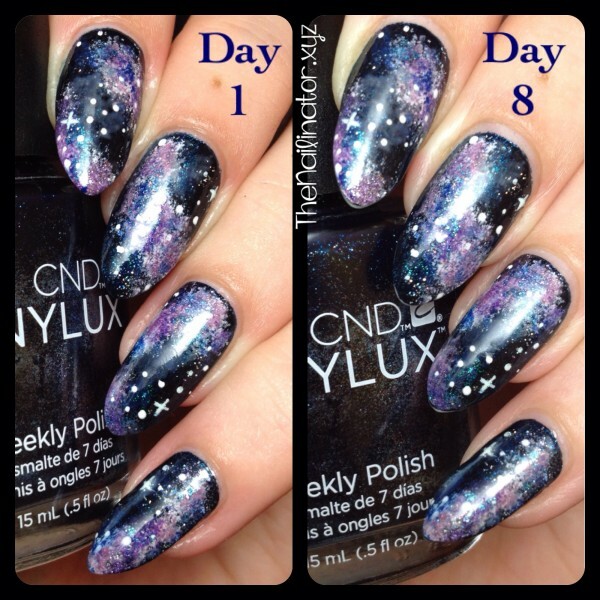 If you love these then why not check out my tutorial. It’s pretty easy to do and doesn’t require much precision. Indeed, I had 3 cups of coffee and an hour of sleep the night before and I was shaking like crazy when I did these. Ha! You can totally do it!! Before I get to the nails I want to take a moment and thank you all for the wonderful comments and for liking my photos on FB and Instagram. Y’all make this so exciting. I even got a couple of award nominations over the weekend! Yay! I’ll have to get to that soon. I have been so bad about keeping up with those. :O oopsie! My submission for the 31 day challenge today would be considered a stretch for many but not so much for me. The theme is “Inspired by a book”. 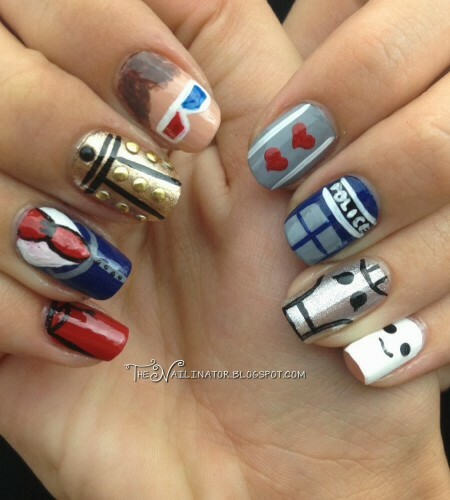 While Doctor Who is obviously a TV series, I have never seen the show. The Shutterbug, on the other hand, is an avid fan and I happened upon a collectors item book at a used book store and flipped through it to familiarize myself a bit. So you see how this qualifies as “inspired by a book” for me. The Shutterbug has been aching for Doctor Who nail art and she came up with what she wanted and told me the ten nail designs she wanted and we went from there. I have never watched Doctor Who so she had to explain most of them and show pictures. From left to right we have The Doctor’s (Matt Smith) fez, The Doctor’s (David Tennant) blue suit, a gold Dalek, The Doctor (Tennant) and his 3D glasses, two hearts representing The Doctor’s two hearts, the TARDIS, a Cyberman and a little andipose guy. 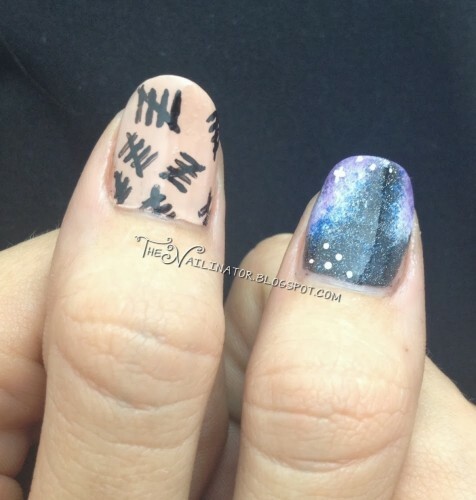 On the thumbs below we have tally marks from the episode with The Silence and a galaxy nail. Do you like them? My favorite is the gold Dalek. 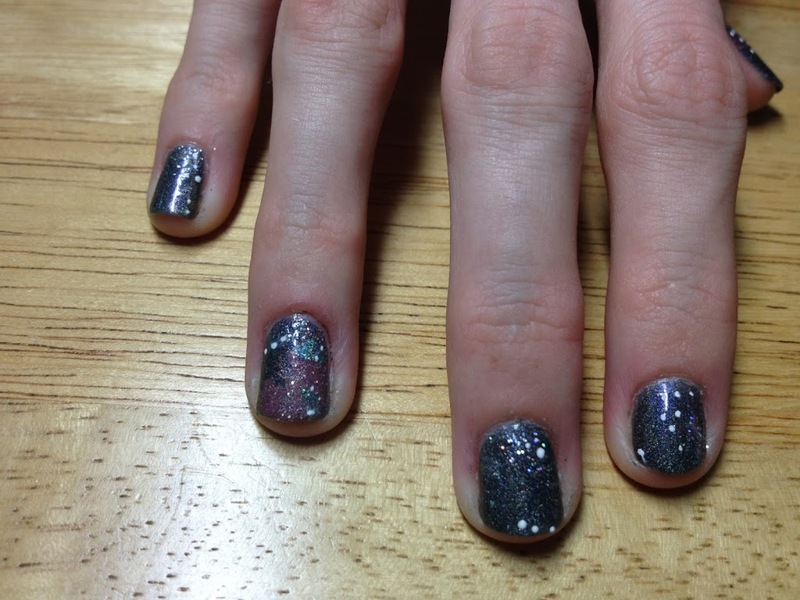 I think they all look cool and The Shutterbug keeps saying they are the most awesome nails ever so I think I executed her dream look well. Hopefully those of you who are Whovians (????) like them too. 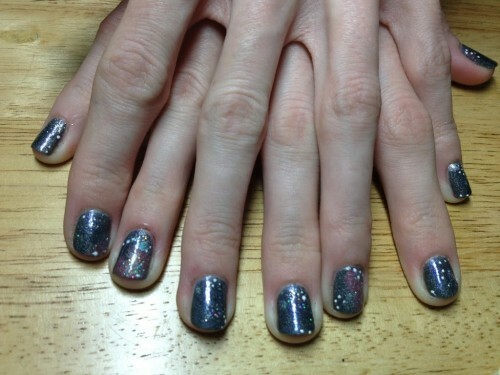 This is my first time photographing someone else’s nails in the lightbox so the pictures are a bit different. I think you get the picture. I hope you are all having a great day. Today was our day off and we got to go out and run some errands and play with the kids. Good times! Today I’ve got a special treat for you. I’ve done a guest post for Christina, a.k.a. The Bubbly Brunette, and it’s not just any old guest post. I’ve done my very first tutorial for one of my favorite and most complimented designs ever! 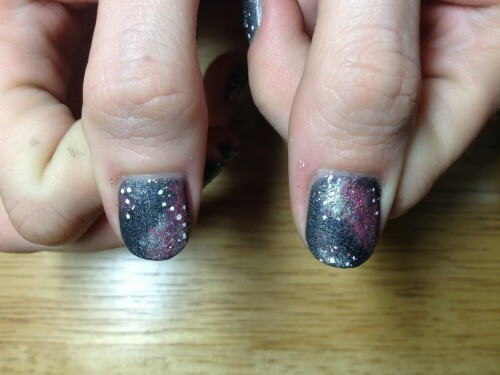 You may have already seen the galaxy nails that I featured in my very first blog post. 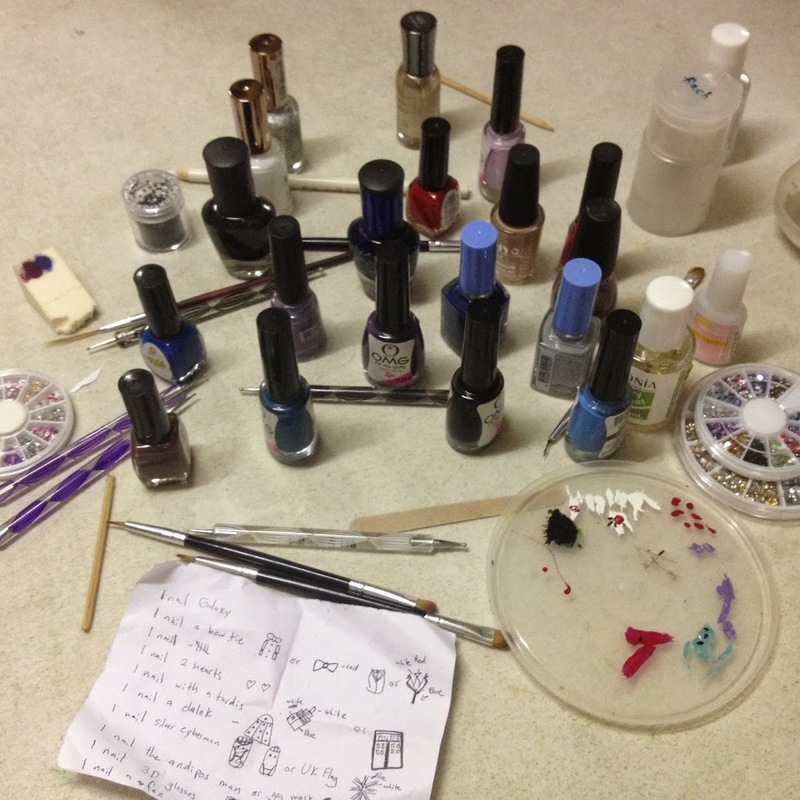 They were such a hit with all my friends and family that I was inspired to take the plunge and start a blog to share my nail art hobby obsession. 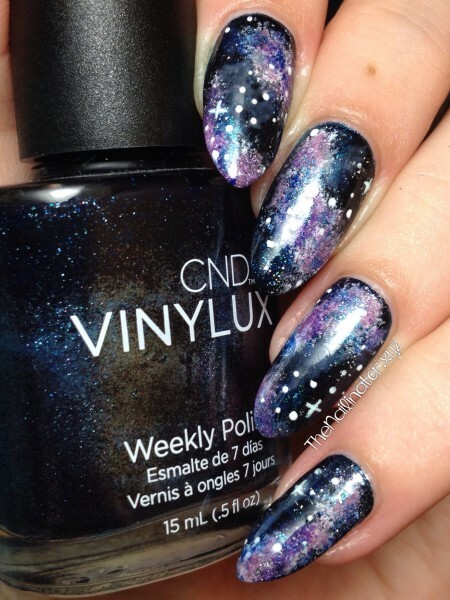 Christina commented on my first post way back in January saying that she thought these nails were great and that someday she would try and recreate the look. So I thought doing a simple tutorial for them would be perfect. 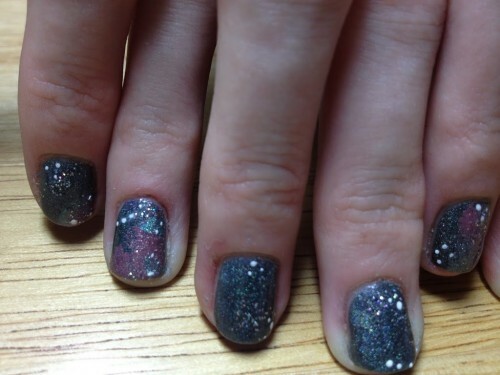 If you want some some STELLAR (pun absolutely intended) nails too, then the tutorial is just a click away. Please hop on over there and show Christina some love too. 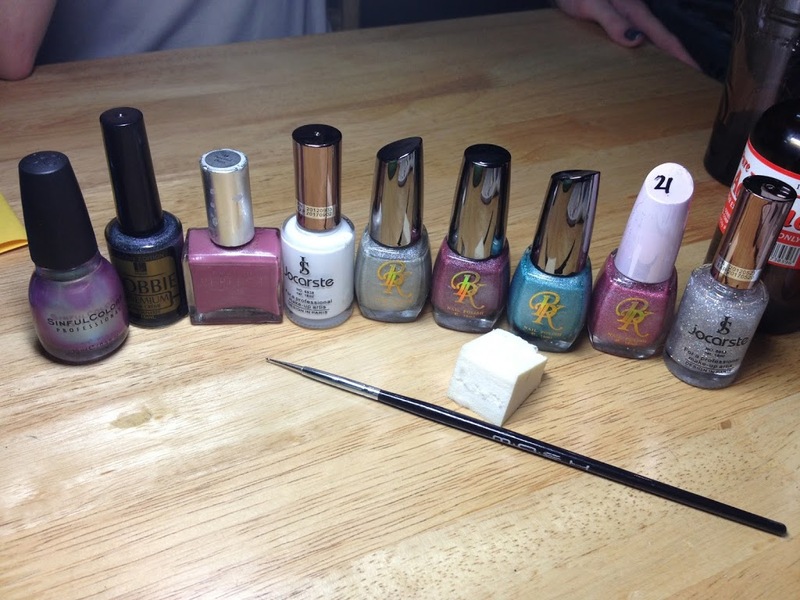 She has a ton of great swatches and some adorable nail art. I would LOVE to see pictures if you decide to recreate these. Please do share them with me via Facebook, Instagram, email, or with a link in the comments. Have a fantastic day and I’ll see you again soon!